A contract in which one party agrees to indemnify another against a predefined category of risks in exchange for a premium. The goal is to spread risk over a larger number of parties. Because of its importance in maintaining economic stability, the government and the courts use a heavy hand in ensuring these companies are regulated and fair to the consumer. Subrogation allows an insurer who pays out to an insured under an insurance policy to gain the rights belonging to the insured against a third party who caused the loss. If you are part of a large corporation or you are the insurance company for a large corporation, our firm has experience fighting for your rights. The lawyers of DeLashmet & Marchand, P.C. have represented clients on topics ranging from policy and plan development and litigation, to labor and employment matters and corporate issues. 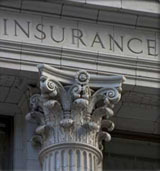 Representing carriers and commercial policyholders, the firm handles coverage opinions, coverage analyses, declaratory actions and extra-contractual damage cases, including litigation involving liability coverage, claims handling procedures, property insurance rates, diminished value claims, credit life, vanishing premium and force-placed insurance, collateral protection litigation, fidelity bond claims and arson and theft cases. We advise carriers and policyholders regarding insurance practices, coverage issues and risk allocation and are experienced in preparing coverage opinions, reservation of rights analyses and legal claims involving insurance coverage and insurance practices. We also assist carriers in sifting through convoluted matters which arise in the uninsured/underinsured context. Subrogation is a rapidly developing field within the insurance industry as the market becomes increasingly more competitive. An effective and efficient subrogation and recovery program coupled with counsel sophisticated in subrogation practices can significantly enhance the profitability of claims and underwriting operations. The lawyers of DeLashmet & Marchand, P.C. are dedicated to maximizing subrogation recoveries for their clients from the legally responsible third party. Our clients in this field include re-insurers, self-insurers, insurance syndicates, third-party administrators, insurance brokers and agents, and independent adjustment companies. We focus on providing timely and accurate investigation and analysis of losses for subrogation and recovery potential that arise from casualties such as fires, explosions, gas and water leaks, commercial transportation accidents, structural collapses, machinery and equipment failures, and from a wide variety of other losses.